FIT4MOM North Metro Denver - Get Involved. Make Friends. Enjoy Motherhood. FIT4MOM is the country’s largest fitness program for moms offering pre- and post-natal fitness classes for every stage of motherhood. 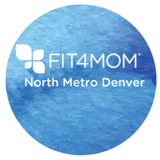 FIT4MOM North Metro Denver offers Stroller Strides, Stroller Barre, Body Back and Run Club in Broomfield, Lafayette and Westminster/Thornton. We also hold regular play dates and mom’s night out events.